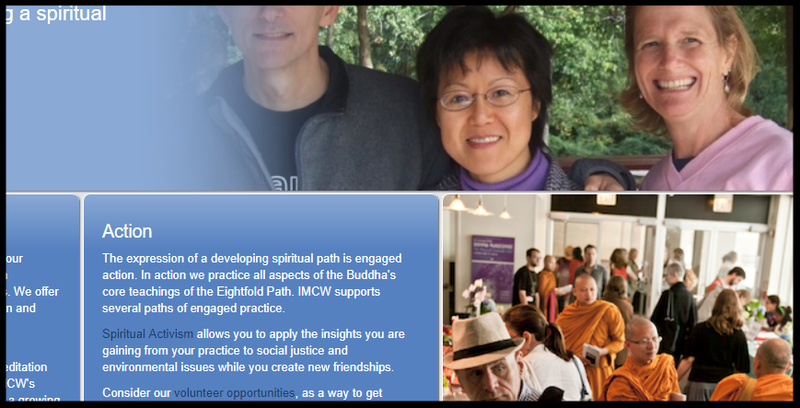 From the mission statement of the Insight Meditation Community of Washington (IMCW), the organization aims to integrate and manifest wisdom and compassion in all aspects of life, for the benefit of all beings. A tall order not only for an organization, but for the web site that serves as their front door. Admins just drag an audio on the site and the magic happens. It's promoted on the home page, added to their library and pops up in podcasts delivered right to your phone. Retreat Suite makes this simple enough that volunteers can do it for their 150 teachers. IMCW is a large organization that uses a lot of media. They film or record hundreds of events a year and use this media to grow their membership. Thousands of people consume their media each month. It's easy to maintain a page of communities on any web site. The power of Retreat Suite is its deep interconnection with teacher bios, community events and media. It also gives group administrators private access to group lists and materials. IMCW is a umbrella organization for seventeen smaller local communities at this count. Each of the smaller common interest communities enjoys full access to Retreat Suite features at the IMCW site to manage their groups and events. Finding events is even easier for your calendar admin. Site search returns hidden events and templates to your admin. The event manager even gives quick access to events you've been working on recently. At your fingertips when you need it. IMCW routinely has 150 events per month. At that scale, it can be very hard to find what you're looking for. That's why Retreat Suite gives you lots of options to search and filter events in calendar, week and list views. Just to be extra sure you don't miss out, it also automatically promotes the best of the best on your home page.